Greenwood County (pop. 69,661) was formed in 1897 from parts of Abbeville and Edgefield counties. The only other Greenwood County is in Kansas. 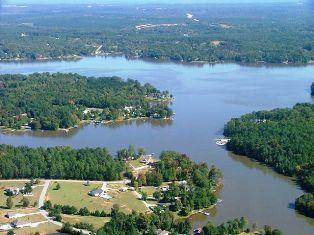 Lake Greenwood was formed in 1935-40 by the construction of Buzzard’s Roost Dam on the Saluda River. It has 212 miles of shoreline. The county seat is the city of Greenwood (pop. 23,222). 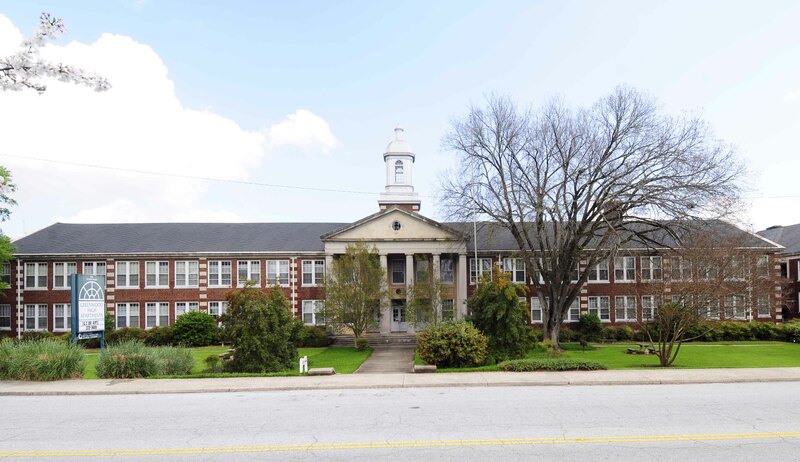 The former Greenwood High School (1926) now has apartments. Greenwood is well-known for its annual Festival of Flowers. Lander University, located in Greenwood, has about 3,000 students. It began as a private college in 1872 and became a public university in 1973. The State Theatre in Greenwood (1934) reopened in 2007 as the Greenwood Community Theatre. Greenwood’s Auto Drive-In opened in 1945 and reopened in 2008. The State Theatre had a million-dollar renovation. Cokesbury (pop. 279) is the home of a historic building called the Masonic Female College and Cokesbury Conference School. It is unclear how the town of Ninety Six (pop. 1,998) got its name. 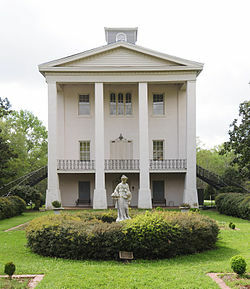 The town was moved two miles east in 1852; the original site is now Ninety Six National Historic Site.